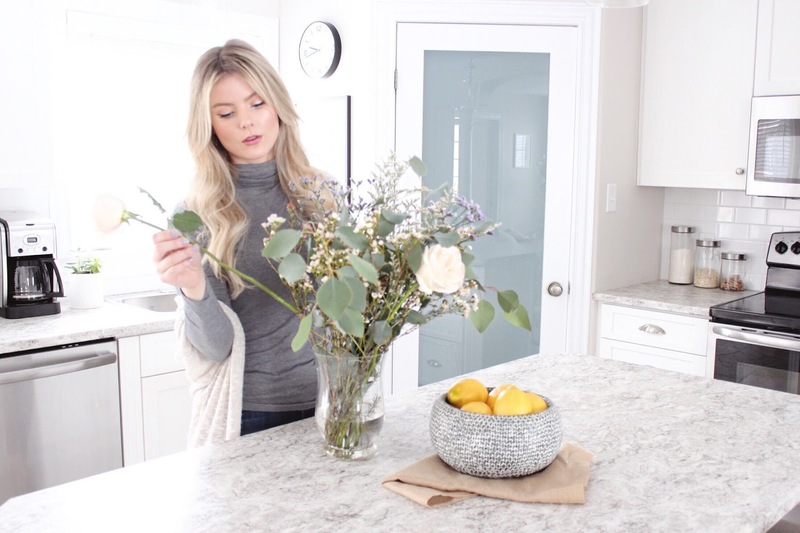 One of my favourite things to have in the house is fresh flowers, they bring such a happiness to the home and really make your space feel more cozy. I love the look of soft, pretty pastels that look like they were just scooped up from a meadow and put into a vase. I was so excited because that is exactly what I got when I received this gorgeous bouquet from Piccalily by Petes in Halifax. Guys...their flowers are SO pretty and I think this may be the prettiest bouquet I have ever gotten! I love the mix of soft pastels with the blush roses and silver dollar eucalyptus is one of my favourites. It can be hard to find it in the city so I was so thrilled to get some in my floral arrangement. 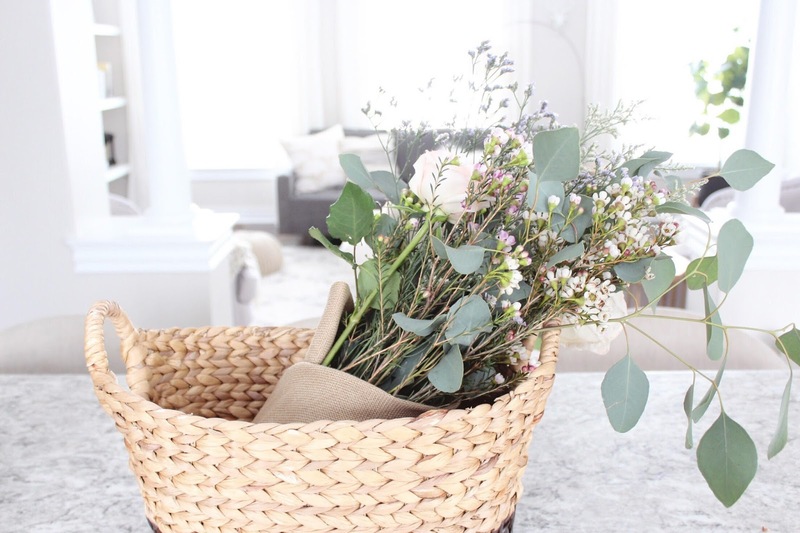 My bouquet came wrapped with a beautiful burlap base and is so fragrant which is always a plus when you have a bunch of boys running around your house! I think one of my favourite things to do when I receive flowers is taking the time to clip the stems and organise them in a vase, there is just something so relaxing about it and almost therapeutic. 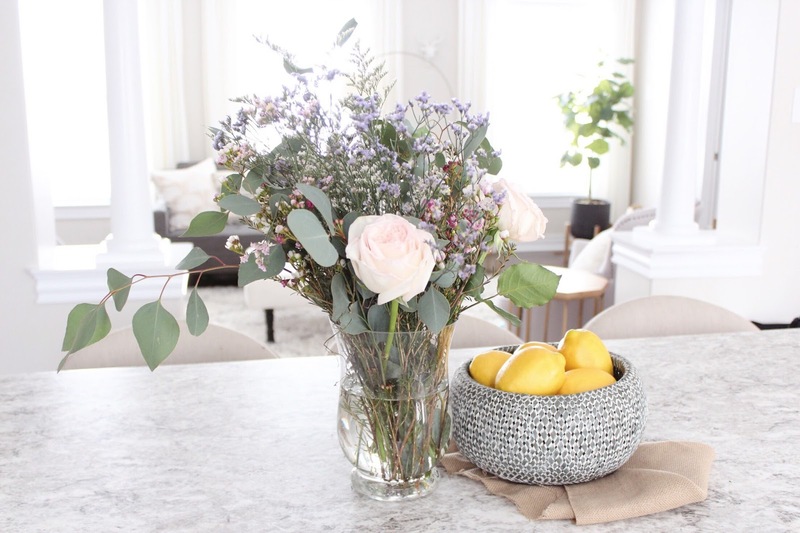 If you are in the market for some beautiful, unique floral arrangements I highly suggest checking out Piccalily- the best part? They can deliver right to your door which is the ultimate convenience for this momma! This post was sponsored by Piccalily by Petes but all opinions are my own.